The most complete Albania travel guide online. Qemal Stafa Stadium is Albania’s National Stadium, the largest football stadium in Tirana. 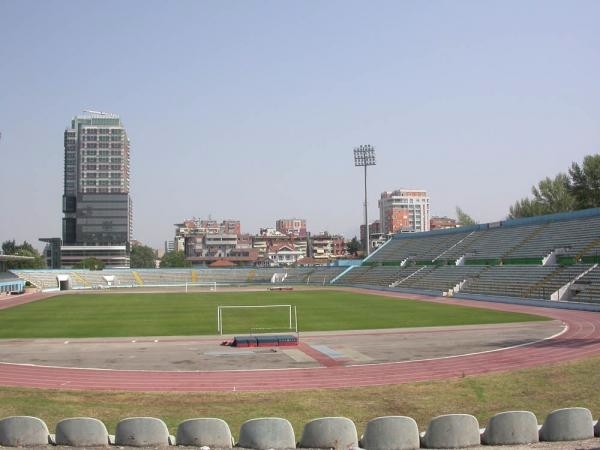 Opened for the 1946 Balkan Cup, the 19.600 seat (1990’s) stadium was named for World War II hero Qemal Stafa. 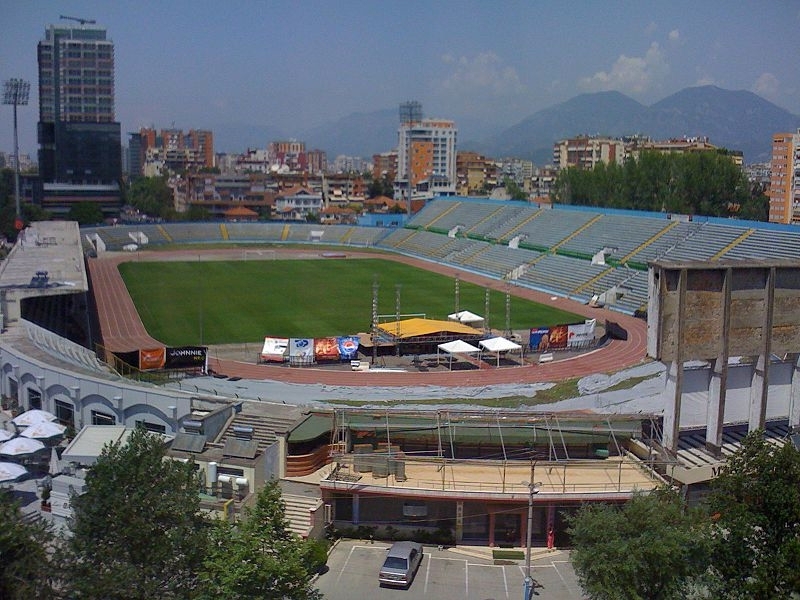 Today it is used for football matches for Albanian Superliga, the National Team games, and various other sporting events throughout the year. Plans to demolish the current stadium and build a new 33,000 spectator arena are underway at a projected cost of some €60 million. In light of the recent Qualifiers for Euro 2012, the need for modernized and expanded facilities across Europe has been identified. Ownership of the property and the new stadium will likely be split between the Albanian Football Association and the Albanian government. Argophilia invites you in a journey across Eastern Europe, and our first destination is Albania. You'll find major attractions from Albania's main cities, including Tirana, Berat, Gjirokastër, Korce and other seductive destinations. This is the most complete Albania travel site in English you will ever find online. Travelers: you can use the site free of charge to discover exciting destinations in Albania, places you never knew existed, and to book hotels. Business owners: you can use the site to list your venue. Use our submission form, complete it with as much information as possible, including images, and pay the one-time €20 registration fee. © 2011 Argophilia. All rights reserved.